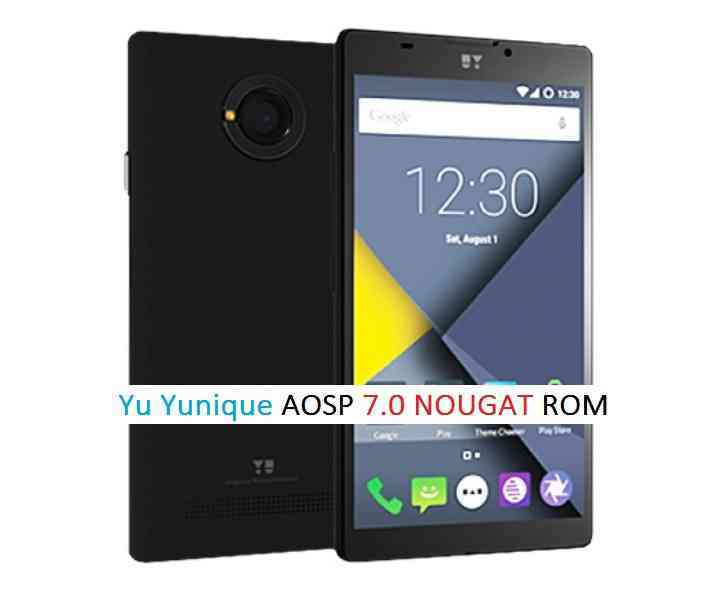 Android AOSP 7.0 Nougat ROM for Yu Yunique (jalebi) is now available through an unofficial AOSP ROM update and this is a guide which explains how to update Yu Yunique to Android Nougat ROM. Since the Android Nougat Source code release, till now we have many Android Nougat ROMs available for various devices and also we have many CyanogenMod 14 ROMs including the Yureka 4G CM14 NOUGAT ROM. And now this time the Nougat ROM (build number: NRD90M) has arrived to Yu Yunique (codename: jalebi) which is brought to you by developer Satyabrat Sahoo and he has also brought the CyanogenMod 14 for Yu Yunique. Installing a custom ROM on a the Yu Yunique requires the bootloader to be unlocked, which may VOID your warranty and may delete all your data. Before proceeding further you may consider backup all data on the phone. You are the only person doing changes to your phone and I cannot be held responsible for the mistakes done by you. Unlocked bootloader on the Yu Yunique (jalebi). First make sure that the bootloader is unlocked before updating the Nougat ROM to Yu Yunique (jalebi). If not then unlock it first and come back. Download the Nougat ROM zip file for Yu Yunique and the Nougat Gapps zip file from the above download link. Extract the ROM zip file and you will get all fastboot flashable zip files such as: boot.img, system.img, userdata.img etc. If the device is detected then proceed further to flash the fastboot images if not then remove the device and re-connect till the fastboot recognizes the device. Extract the ROM zip package and double click the flash.bat file in windows or if you are in Linux or MAC then copy the flash.bat as flash.sh, open a terminal window, navigate to the extracted directory and execute the flash.sh file. Boot the phone and if GApps are not already installed then follow the next steps in a custom recovery. Now copy the GApps to the phone using MTP mode. Reboot the phone to system from the recovery when the flashing is done, do the initial setup and then enjoy the taste of Android Nougat on Yu Yunique. If you have any concerns or are you facing any problem regarding this guide or Yu Yunique Nougat ROM then just login and leave a comment to get an instant reply. Stay tuned or Subscribe to the Yu Yunique forum For other Android Nougat ROMs, 14 ROMs, other ROMs and all other device specific topics.